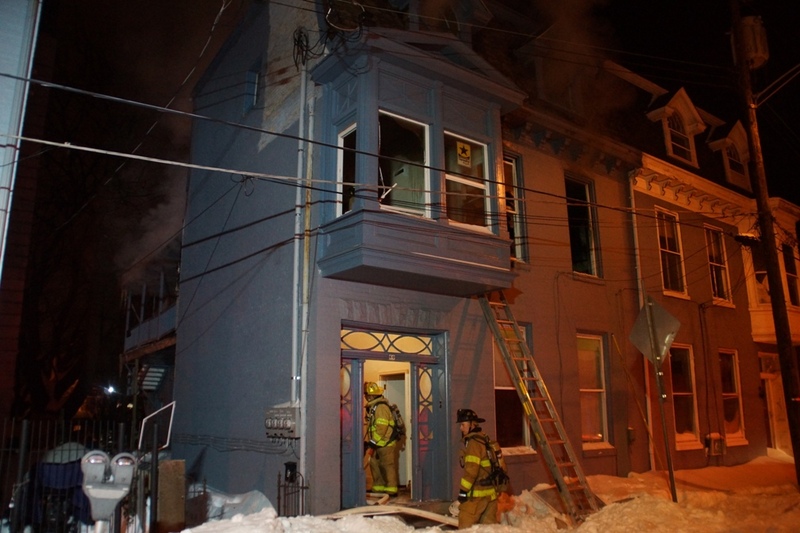 As winter storm Jonas moved into the Chambersburg Area Friday, crews prepared for the worst. 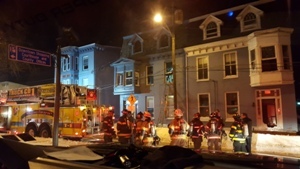 The Chambersburg Fire Department was busier than normal handling medicals, numerous inside investigations, and a working house fire in the first due. 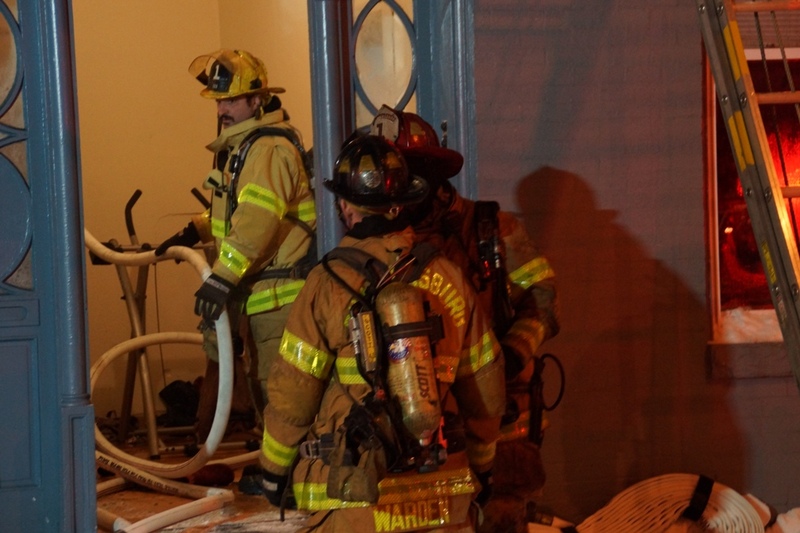 Around 10:30 p.m. Sunday evening, crews were alerted to 60 West Queen Street for a reported bathroom on fire in an apartment building. 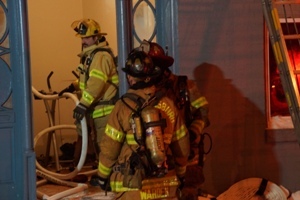 Engine 1-2 and Deputy Chief 1 arrived to find a working fire on the second floor of a multi-family apartment building. 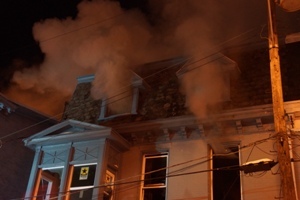 Engine 1-2’s and Engine 1-4’s crew made their way to the second floor to find heavy fire to the rear of the structure. 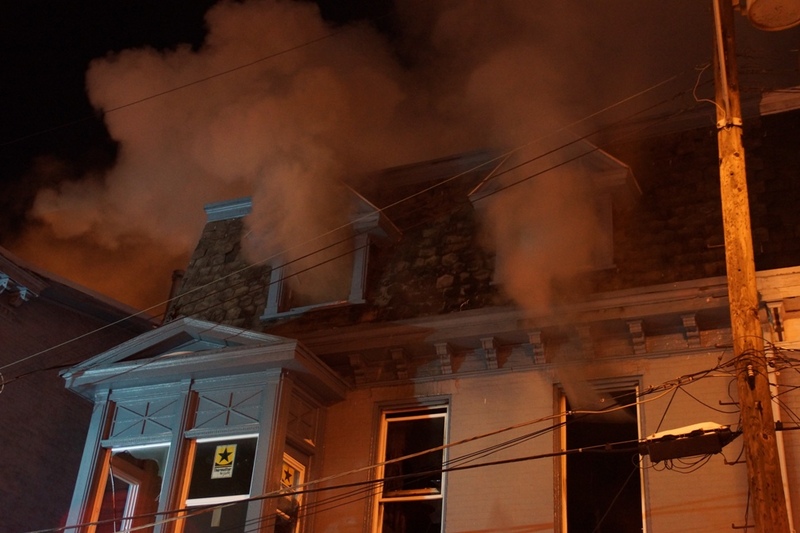 The fire was brought under control in approximately 30 minutes, and the first alarm assignment remained on scene for around three hours. 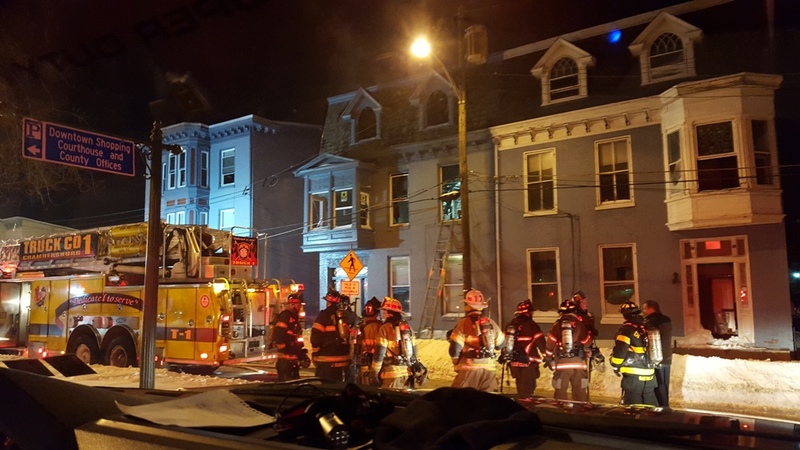 After 32+ inches of snow fell between Friday evening and Sunday, CFD handled over 58 calls for emergency services in less than a 72 hour period. 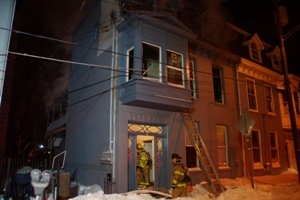 Great work by all staff!! !